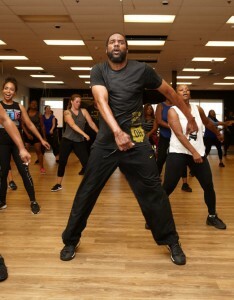 Hip Hop Dance Hip Hop Fitness with Mike Nicholson founder of the Columbus Ohio Movement. 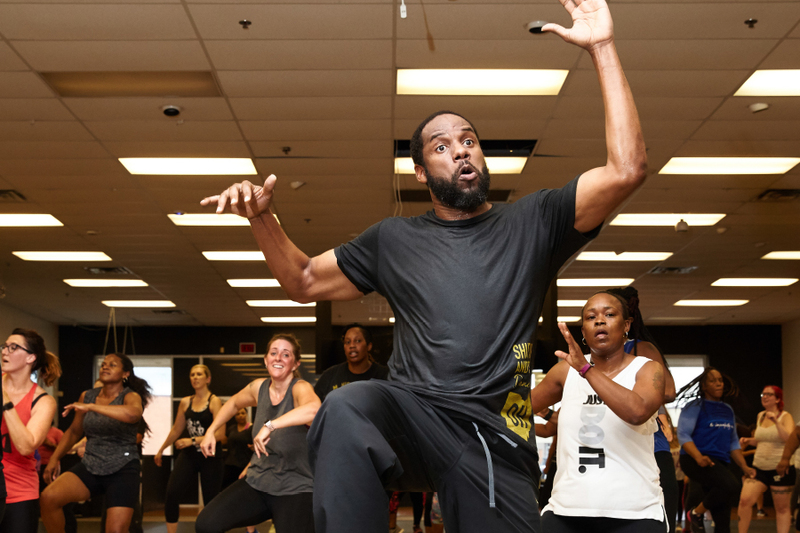 Mike Nicholson’s Hip-Hop Fitness is a whirling, leaping, popping way to get in shape; and beyond the fun moves you’ll learn, there’s a whole community of people who want to get down just waiting for you to take the leap. Uber-popular for the last decade, we wanted to get the skinny from one of Mike’s dedicated dancers, Laura Wall, on why she Likes Mike. Well, we certainly want to know more about this. Not to mention our gym won’t play “Move, B*tch,” by Ludacris no matter how many times we ask. What can people gain from Mike’s class? What can they lose? Friendships. Unconditional love from Mike, his talented instructors. Confidence. You start to move differently outside of his class. You start speaking up more at work and at home. You look different. Your clothes feel different. Your family whom you haven’t seen in months don’t recognize you—in a good way! You lose your inhibitions. You lose the doubtful side of yourself. You expect more from you and while your body changes, so does your mind, your emotions, your soul. It’s such a win all over! The Best Hip Hop Fitness in Columbus Ohio hands down! What is special about Mike? Mike pays attention. He understands people. He understands all of his students. He doesn’t take himself too seriously. He asks open-ended questions; he truly takes time to get to know his students. He can tell if you’re having an “off” day and gets up there right behind you pushing you. He knows everyone and their class schedule. Mike is inclusive. He’s one of the most creative professionals I’ve ever known in my life. It’s an honor having him as a dear friend. Who comes to his classes? Everyone. Working class. Stay-at-home Parents. Part-time, working folks. Students. I’ve seen people show up temporarily disabled—with an arm in a sling but still kicking it with their legs. I’ve seen HH students in wheelchairs who come and still move their arms. Babies are crawling around the studio. Lots of couples. Lots of moms and daughters. Boyfriends and husbands are pulled in to sit in the back and help support their loved ones. Mike Nicholson has the best following in Central Ohio. How did you come to be his student? On June 2, 2011, I went to his class. After that class, the next day, I couldn’t walk … and I couldn’t walk for four days—though keep in mind I still kept going. That Friday, Saturday and Sunday … I’m going on year eight. I go five days a week—sometimes in the early a.m. sometimes at night. I’ve made lifelong friends. I’ve changed jobs a couple of times. Got remarried recently, and it was my HH family who was there with every personal milestone. One of the best decisions I ever made was joining Mike’s class. Favorite song to warm up? Cool down? Warm up? “Let it Bump” by Missy Elliott! Current fave routines: “Got Me Good” by Ciara and definitely “Whine Up” by Kat Deluna. “Make it Work” by T-Pain and my absolute fave above all others: “Take Your Shirt Off,” also by T-Pain. I affectionately call that my Naked song! [laughs] For cool down, I like old school tunes Mike will pull out every once in a long while—”Killing Me Softly” by the Fugees, everyone is singing out loud. That is the best feeling in the world next to laughter through tears. Awesome reading from the perspective of someone that takes the class. Mr. Nicholson currently runs a graphic design business in Gahanna, Ohio as well as provide hip-hop fitness dance instruction at Life Time Fitness, Urban Active Fitness, Diamond Dance & Fitness and Phlex Fitness among others. Michael Demetrius Nicholson was born on March 2nd in Brooklyn, New York. Paul Roberson is one of my heroes who inspired me to be who I am today. While in New York. It was discovered that Michael had artistic talent. He began drawing life like portraits at the age of 6 years old. He began dancing at the age of 8. This prompted his parents to enroll him in schools for the gifted and talented. This experience even more so fostered Michael’s creative talents. He later attended the High School of Art and Design where he studied commercial art and photography. Michael received his Bachelor of Fine Arts from The Ohio Wesleyan University. He originally attended the university to double major in French and theology but decided that his passion was in the arts. 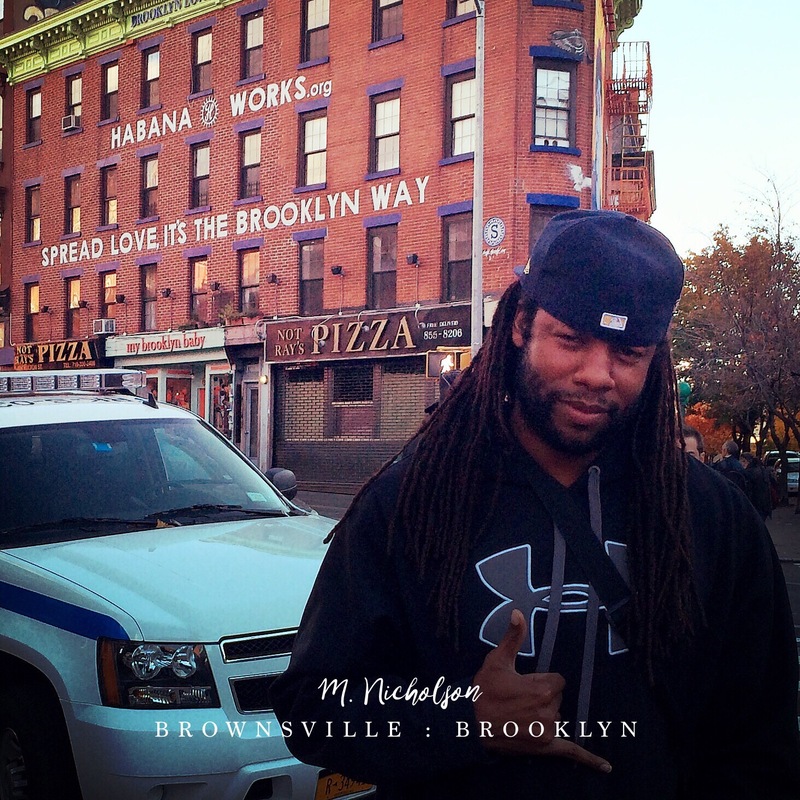 Mr. Nicholson currently runs a graphic design business in Gahanna, Ohio as well as provide hip-hop fitness dance instruction at Life Time Fitness, Urban Active Fitness and Diamond Dance & Fitness.